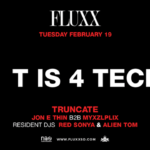 Tuesday, February 19th, Native Alien presents T is 4 Techno featuring DJ Truncate, Jon E Thin & Myxzlplix! 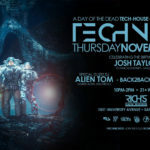 Join us for #TechnoTuesday in downtown San Diego featuring Techno, Techno and more Techno! 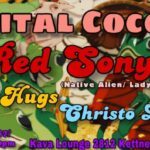 Tuesday, December 18th, Join us for Techno Tuesday in downtown San Diego! 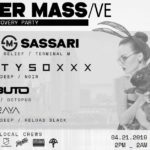 Native Alien presents T is 4 Techno Holiday Party at Fluxx Nightclub feat. 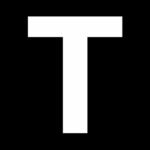 Techno, Techno & more Techno! 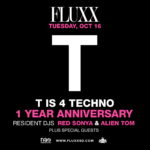 Tuesday, November 20th, Native Alien presents T is 4 Techno Thanksgiving Party at Fluxx Nightclub in the historic Gaslamp Quarter downtown San Diego with residents DJ Red Sonya & Alien Tom. 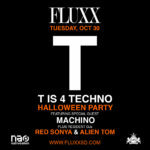 Tuesday 10/30, Don’t miss the T is 4 Techno Halloween Party at Fluxx Nightclub in the historic Gaslamp Quarter downtown San Diego. 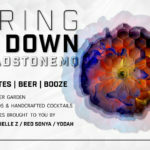 The Halloween soundtrack will be curated by special guest Machino LIVE plus resident Techno DJs Red Sonya & Alien Tom. 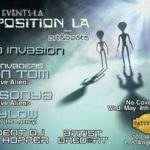 Tuesday, October 16th, Native Alien celebrates T is 4 Techno‘s one year anniversary at Fluxx Nightclub featuring Britton, Rivka M, Red Sonya & Alien Tom. 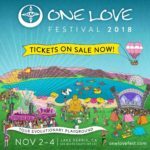 Mark your calendars for the first weekend of November (11/2-11/4) and let’s go camping! Hit me up if you want to join Camp Native Alien!